Wondering When They Will Arrive? Send a Yootoome to your friend. Highly secured, time limited, and in your control as the receiver. Simple send a request and that’s it. 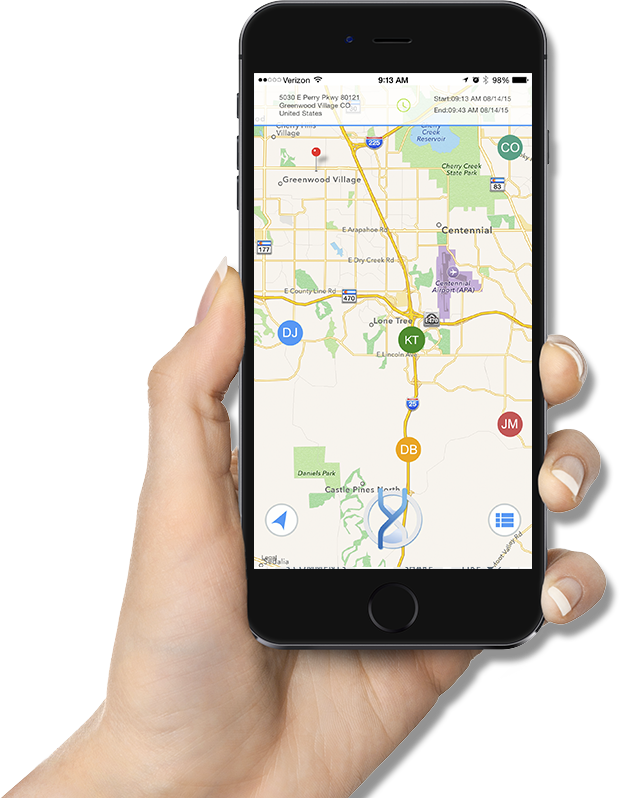 Know instantly how long it will take for them to arrive to wherever you are. Change Mind or Made a Stop? Get notified. Grab that extra coffee or make a stop at the gas station. It’s your time. If they are late, well great…you have your time back instead of wondering and waiting. Traveling for Business? Have an early morning meeting? Send Yootoome’s to everyone involved in your presentation from the hotel room. Group Yootoome will show them all coming together and let you know who will be on time and who may be late to the client or the lobby. Wondering how long they are taking? Target their exact time of arrival and maybe lend a hand with directions. Concerned about connecting too long. Nope. The receiver controls how long the Yootoome lasts. Side affect – no more wasted battery life. Also, Yootoome doesn’t share a thing. That’s just not our style. In fact, we find that rather annoying. Yootoome is a Web Application company based in Denver, Colorado with an office in Atlanta, Georgia. 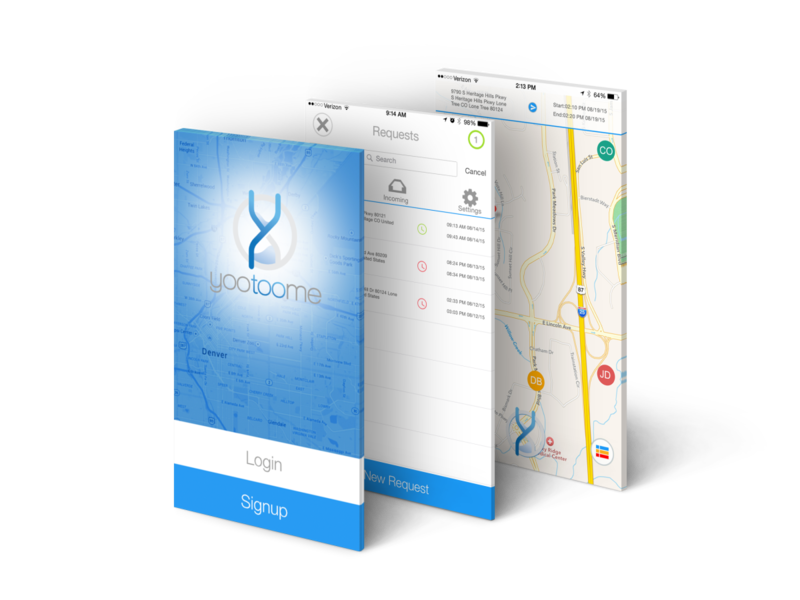 Yootoome’s mission is to provide service oriented applications to the general public that help save and organize time. Our goal is to provide noninvasive, user friendly, simple, fun, and secure applications for people of all ages. Yootoome is a company built on principals of integrity and transparency. It is our wish that your experience with Yootoome applications is a wonderful one. The CEO was sitting at a bar in California waiting for his friend who is perpetually late. He was enjoying a cup of coffee and watching an unfortunate miscarriage of basketball justice. He knew he was to be picked up at 8 pm out in the parking lot. Not such a big deal to check for him periodically, except his team was down by two points with 45 seconds left in the game. Anyone that knows basketball knows that 45 seconds is really closer to 20 minutes in real time. Wondering if he should check the parking lot every minute, he thought to himself... I wish there was a way I could know when to go out and meet him. The obvious answer was to pick up the cell and call. Small problem, being the law-abiding citizen he knew his friend is and most states laws lofting a heavy fine for phone use while driving, he knew that would never work. Then it hit him, just as he heard the buzzer sound from the parking lot after his team sank a 3 pointer to win. If someone can build an app that sends a message to him so he can know just how long it will take for friends to arrive, he might not miss those game winning shots, he might not have wanted to smack his buddy, and the world would be a better place. A few weeks later he decided to build the app..."Yootoome" sounded good, so he called it that. Then he texted another friend, who is the smartest person he knows, and asked him to help him build it. He said ok. Finally he had to find some cash. Ironically, he was stuck in traffic and late to the first investor meeting.